A £100m programme to revamp the riskiest A roads in England is on track to prevent almost 1,450 deaths and serious injuries over the next two decades. The Safer Roads Fund has been created by the Department for Transport to improve safety along the 48 of the riskiest stretches of council-managed A roads in the country as identified by analysis in 2016 by the Road Safety Foundation (RSF). The Road Safety Foundation and RAC Foundation have analysed dozens of schemes that have recently qualified for the government money and say the programme could bring a radical approach to rehabilitating dangerous roads. Rather than focusing on taking steps to improve safety after a crash has occurred, the Safe System approach uses road engineering to try to prevent crashes from happening in the first place. 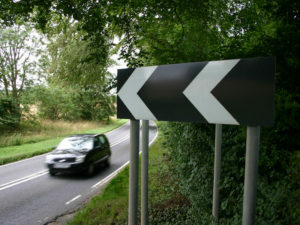 Measures include improving bends and junctions, and taking action to enhance visibility and signing. The analysis by the Road Safety Foundation and the RAC Foundation estimates the total value of the prevention of harm across the 48 schemes, over a 20-year period, is to be £550m.